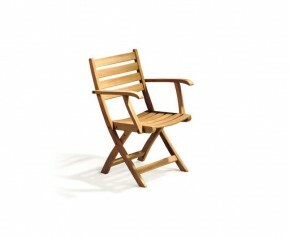 With a wide range of designs, from our classic Bali range of fold up garden chairs, to our Halo steamer folding outdoor chairs, you are guaranteed to find the perfect style of folding garden chairs for your space. 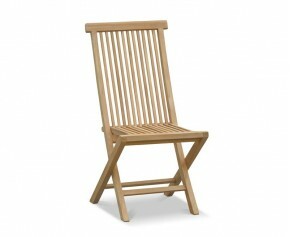 Featuring a simple yet stylish design, all our fold up garden chairs are assured to compliment any other existing furniture. 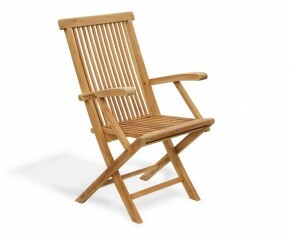 View our range of folding garden chairs below. 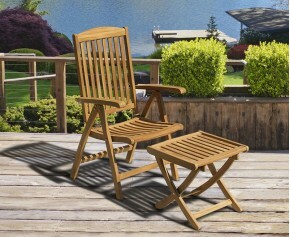 Offering five adjustable back positions, this Bali teak outdoor recliner chair offers the ultimate in garden comfort and relaxation; and has been expertly constructed in the highest grade plantation teak for long life and aesthetic appeal. 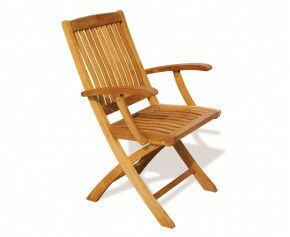 Offering five adjustable back positions, this Cheltenham teak garden reclining chair offers the ultimate in garden comfort and relaxation, and has been expertly constructed in the highest grade plantation teak for long life and aesthetic appeal. 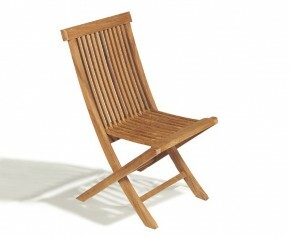 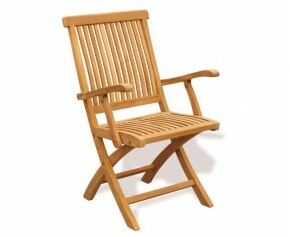 Impress family and friends with this great value, Brompton teak folding armchair. 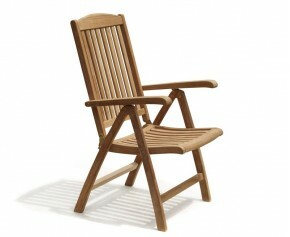 Combining the benefits of style and practicality this teak folding armchair offers a clever way to incorporate extra seating without taking up too much room and can be effortlessly stored away when not required. 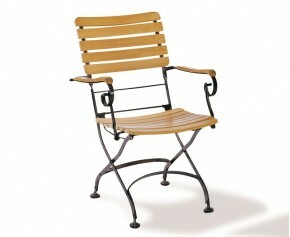 A timeless classic, this instantly recognisable folding Bistro chair is named after the small french restaurants in which it first appeared and is still very much popular today. 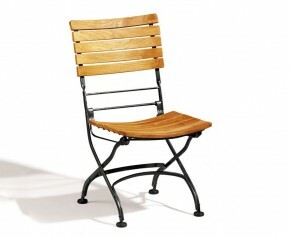 Expertly manufactured in sustainably sourced, grade-A teak and galvanised steel, this teak Bistro arm chair has been built to last. 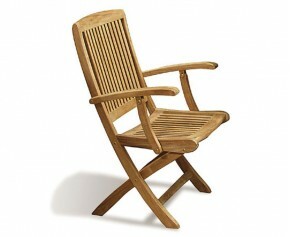 A popular choice from our range of garden furniture, this Bali teak folding outdoor armchair represents brilliant value for money. 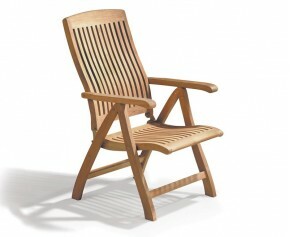 Featuring horizontal slats and solid brass fittings for added durability, this teak folding outdoor armchair has been expertly constructed from sustainably sourced, plantation grown A-grade teak ensuring years of fruitful use. 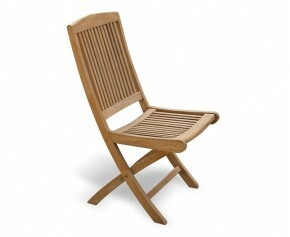 Combining practicality with style, our folding garden chairs are perfect for your outdoor space. 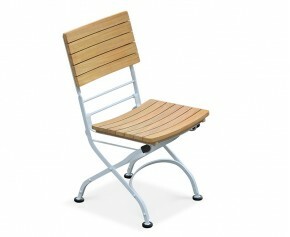 These fold up garden chairs can be stored away with ease when not needed and take up minimal storage space. 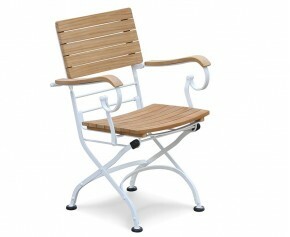 These folding garden chairs can withstand any weather condition and can remain outdoors all year round. 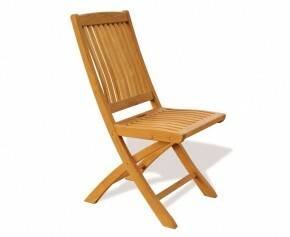 All our folding outdoor chairs are made from the finest grade-A teak, ensuring extreme longevity and durability.